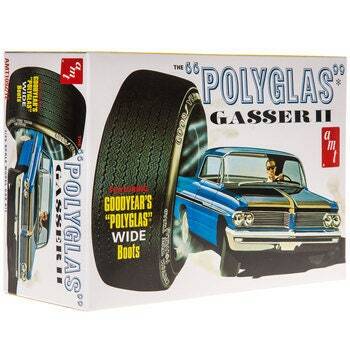 Take a wonderful, crafting joyride with Polyglas Gasser II Model Kit. Glue the included detailed pieces together and use paint to customize it to fit your own style. When completed, show off your incredible model for everyone to see or add it to your current collection.